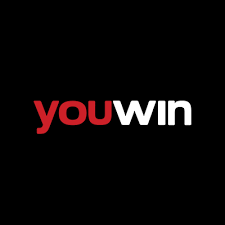 Youwin is an English- and Turkish-speaking good-looking website for fellows who like to bet and play. it looks nice and it is very easy to find everything you need. The design is quite conservative - mostly red, black and white and pretty utilitarian. But what do we have inside? Lots of different stuff, in fact. So let's find out what do we have under the hood in this fast Youwin casino review. Youwin Casino has a Malta license. This one proofs that you are truly legally protected. Has a separate sports betting section. What’s inside? Oh, gosh, lots of stuff… Football, golf, boxing, motorsports, darts, MMA. You can even bet on the outcomes of Turkish elections. In other words - there are almost no limitations. Virtual Sports sections for those who don’t like to wait for real-life events. A casino with 450+ titles. Games by NetEnt, Evolution Gaming, Yggdrasil and more reputable developers. Live Games are at your service too. UK-based Independent Betting Adjudication Service is in charge of fair gaming policy on the website. Clear and understandable Terms and Conditions. Youwin Casino has been founded in 2005. Since then it has a great reputation. The website is pretty and usable. Youwin Mobile version is just great. Lots of fine banking options on board. Live Chat is available only from 9-00 to 23-00. Poor selection of video-poker games. There are no Youwin casino free spins or no deposit bonuses. Regretfully, not too much to say here. Youwin casino welcome bonus is only for players from Canada. It is a 100% up to 100 bucks bonus. The rollover requirements are 5 times (Bonus + Deposit Amount). Youwin casino bonus code for Canadians must be just saying “Hello” to the support service guy. The choice of slots is fair - 450+ titles. Almost every category is full. Still, there are not too much video poker options. Keep it in mind. When it comes to the Youwin’s trustworthiness - there’s nothing to worry about. It is like a castle with huge golems guarding the front gate and with elven archers on all the towers. The banking is OK. lots of options and withdrawal time is decent. The website is pretty, nothing bright and original, rather looks classical and classy. The mobile version works great. The only truly disappointing issue is a promotions section - they are not really into lots of bright and fun-to-play bonuses and free spins. Nevertheless, Youwin is a great and trustworthy place for both sports betters and slot fans.